On Wednesday I was able to see the pre-screening of Dark Places. My interest in seeing the film was two-fold: I was keen to see fellow South African Charlize Theron in her lead role, and I was excited to see the work of my stepson, Shannon Kook. 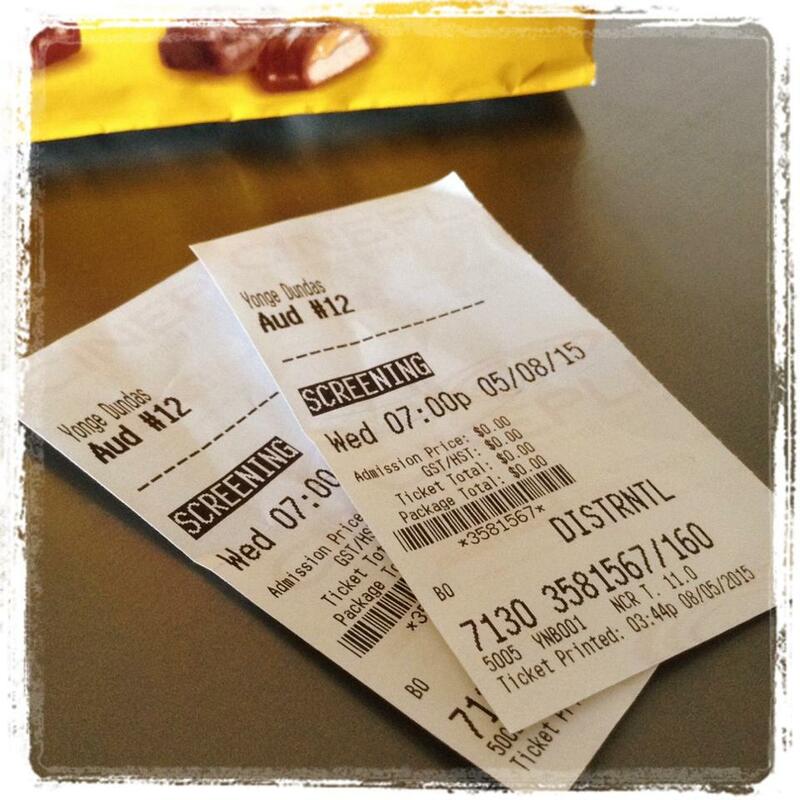 We arrived early and were led to our reserved seats after we had bought the mandatory butter popcorn. I could not wait for the film to start as I had heard so much about the film from Shannon. The film is based on the book by Gillian Flynn. 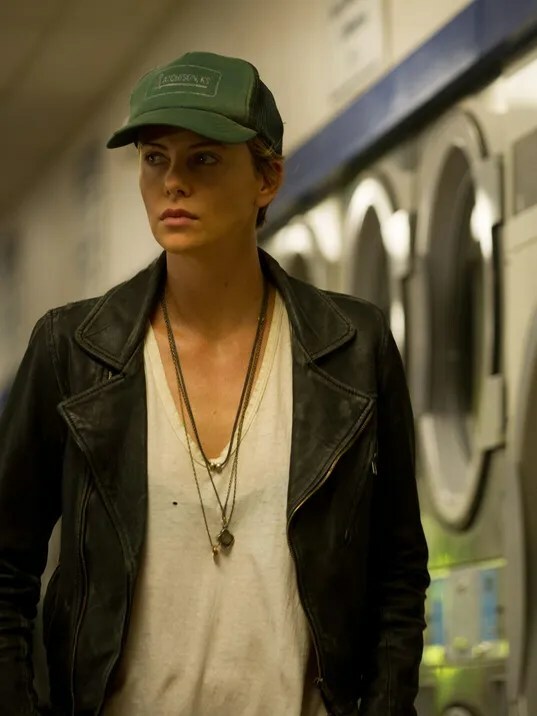 The story is about a woman Libby (played by Charlize Theron) who faces a traumatic experience from her past: the murder of her mother and two sisters. As a young child of eight, she testifies against her brother, Ben, resulting in his jail sentence. As an adult, with the encouragement of a group killed “The Kill Club”, Libby digs into her past to uncover the events as they happened – events she had been unaware of as a child. As expected, Charlize Theron plays her part well. In the beginning, I sense the character’s boredom with the events of her past. However as her search into the past uncovers unexpected events, her interest becomes less blasé. The other cast members (Chloe Grace Moretz and Tye Sheridan) were also believable in their roles. My interest in the film sharpened, of course, when Shannon Kook came on screen. Shannon Kook with Tye Sheridan and Chloe Grace Moretz. Shannon was certainly believable in this role – which was different from the those I had seen him in before. In this role he portrays a character with a dark side to him. My only wish is that the character was developed a little more in the film as young Trey was certainly interesting. According to those who have read the book, Flynn did develop his story in her tale. As the film deviated a little from what had been written in the original story, many of the questions the viewer could have asked remained unasked. Did I enjoy the film Dark Places? Yes, I did. And I would recommend seeing it to those who enjoy watching something that makes them think a little. It is not a film full of action, nor is it one that requires a box of Kleenex to be nearby. Instead the viewer needs to be able to move from one time frame to another. Have you seen the film Dark Places? I don’t know that I would have been interested in this movie. Now I’m intrigued. Almost everyone would be drawn in by this movie – of course, you have that extra motivation to be drawn in even more! You must feel really proud. Definitely sounds like a movie I would enjoy, and then might have to read the book as well. Great review Colline. I feel I need to go and read the book as well Leanne – even though I know the ending. Now I want to know the finer details. You must be so proud of Shannon! I’ve read all three of her books, but DARK PLACES really held me captive as a reader. It takes place in my home state of Kansas and is loosely inspired by an actual mass murder that had many theories but was never solved. Gillian Flynn’s answer very different than the theories, and very effective. I appreciate Charlize Theron’s fine acting, as well as her directing and co-producting in this film, but for me the book added layers of conflict and touches of nuance and just couldn’t be captured in the movie. The big problem for me in the movie was the blurred “ages” the actors were supposed to be playing. You have captured exactly what was said in our discussion of the movie afterwards. As with many films made from books, plenty details are watered down or even overlooked which is a pity as often these details are what captivate the reader. I’m planning to thanks to your review. I like Charlize a lot, and it is good to see your family Colline. You must be proud of Shannon! We definitely are. Especially as he is holding to his dream and not giving up – even though it must be difficult at times. Glad to know about this film. Impressive work, Shannon. Thank you Ruth. Let me know what you think if you go to watch it. We definitely are Michelle. This is a good stepping stone for him.